A Garden Wall in Provence is a pleasing romp through the countryside of France, complete with quirky neighbors and croissants. 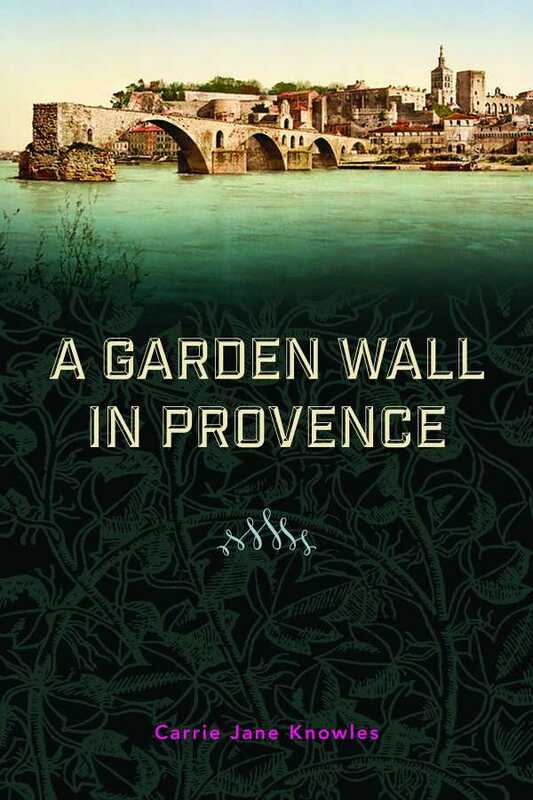 Carrie Jane Knowles’s A Garden Wall in Provence is an utterly charming novella about mothers and daughters, about being neighborly, and about the power and importance of fresh bread. Madame Reynaud, a widow, lives in Avignon, France, with her daughter, Monique, who is about to celebrate her thirtieth birthday. Monique was injured by the fierce mistral winds as a child, which resulted in her walking with a pronounced limp. The overprotective Madame Reynaud has actively discouraged Monique from moving out on her own or getting a job. As Madame Reynaud plans Monique’s birthday party, she also navigates through the diplomacy of buying bread. There are unspoken rules about where to shop for bread—it is considered bad form to walk into one bakery holding a bag that clearly indicates you shopped at another bakery that day. Throw in a romance or two, an overgrown puppy, the winds of Provence, and a busybody neighbor, and you have the recipe for a delightful story. At the end of the book, the author provides the background for the tale—the nine months she lived in Avignon with her young family. Many of the experiences, particularly the artfulness of being loyal to your bread baker, are so explained, putting the entire story into a broader, more relatable context. Though brief, this volume is rich with true-to-life dialogue and a lighthearted but meaningful storyline. It evokes the sights, smells, and tastes of its region of France—you can almost smell the brioche as Madame Reynaud enters the bakery. Accompanying the mouthwateringly good story are recipes for such delights as crusty baguette and gâteau des rois (kings’ cake). A Garden Wall in Provence is a pleasing romp through the countryside of France, complete with quirky neighbors and croissants. Its pure entertainment value provides for a refreshing change of pace. Advice: do not read this on an empty stomach.